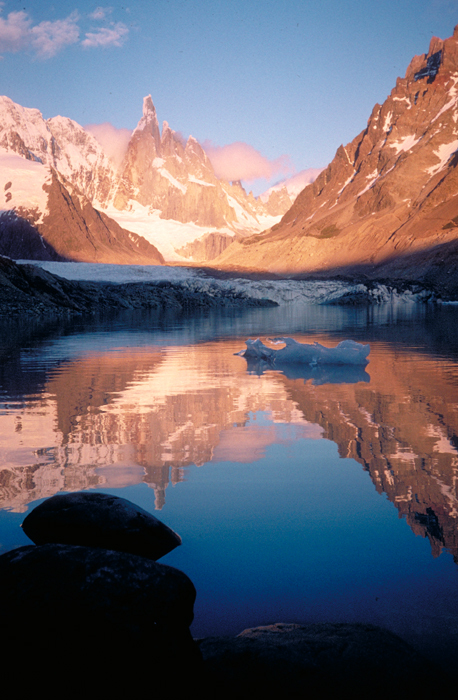 One of the highest peaks on the south Patagonian ice-cap and one of the most famous peaks in the Andes. It lies in the Los Glaciares national park in Argentina. An extremely difficult ascent first climbed (or at least probably) in the 1970's. Cerro Torre seen from the east. 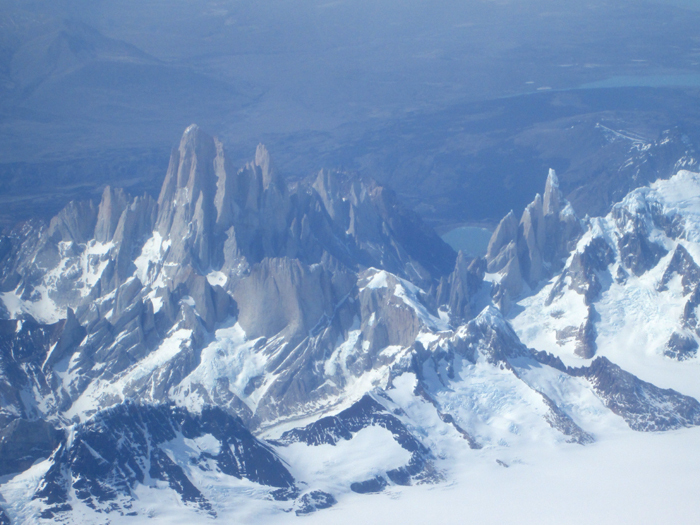 We can organise treks to the foot of Cerro Torre. Please see our Logistics page. For details of how to climb Cerro Torre and neighbouring peaks please see our guidebooks, which are available in English and French editions, direct from us or from all good bookshops and mountaineering shops.